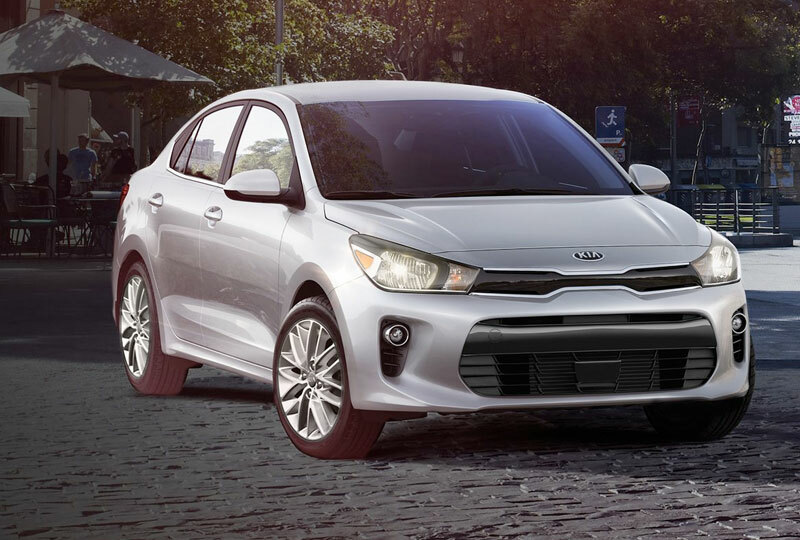 The 2018 Kia Rio in Stuart, FL - serving Okeechobee, Fort Pierce, Port St. Lucie, Vero Beach, FL, and the entire Treasure Coast - packs a big personality in a compact body. A bold grille stands out in front. The sleeker, longer body is paired with a wide, aggressive stance for a sporty exterior. Halogen headlights brighten the night while 15-inch wheels glide across the road. 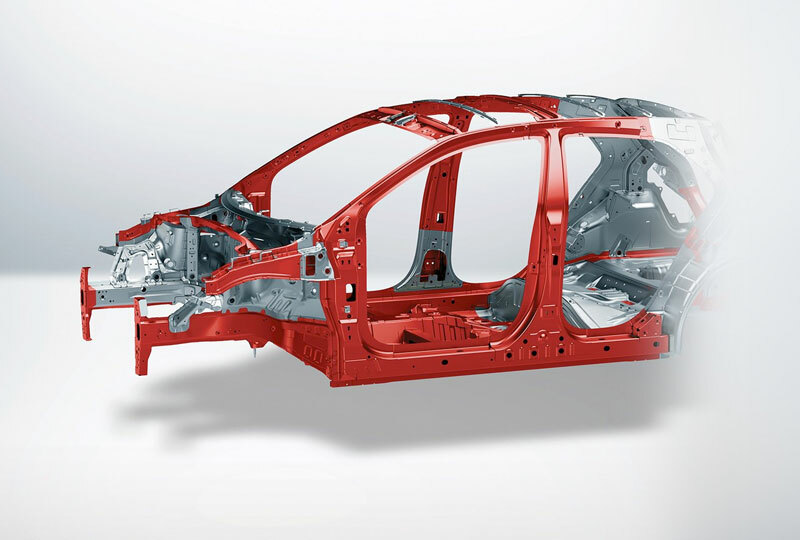 The power within comes from the 1.6L In-Line 4-cylinder engine. An interior fit for any driver has Tricot woven seats and a 6-way adjustable driver’s seat for maximum comfort. The available 60/40 split-folding rear bench seat will expand your cabin capacity so you can fit everything you need. Today is a great day to buy a new Kia. We’ve got a huge lineup of the newest models, and when you buy a new Kia with us, you’ll get free tires and batteries for life! Call us today at 866-742-4262 to schedule your test drive or visit the dealership at 3131 SE Federal Highway, Stuart, FL 34994. 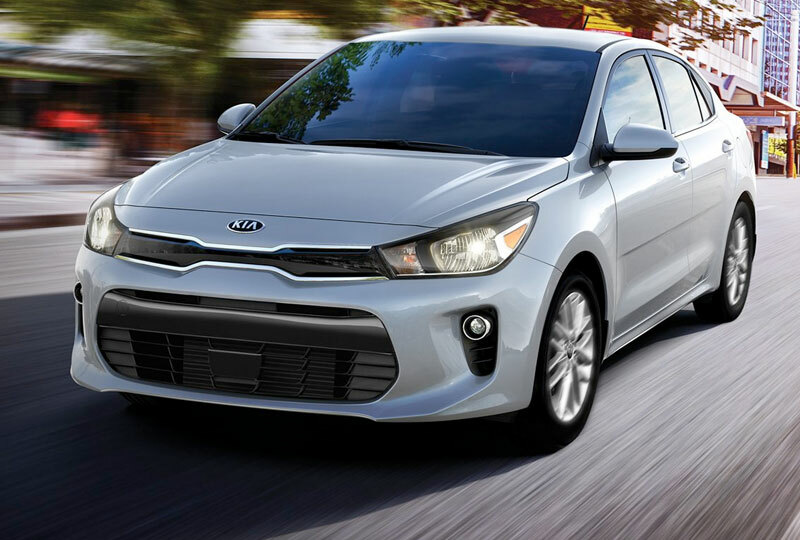 We’ll show you how Bev Smith Kia of Stuart is saving you the most on the Treasure Coast with a 2018 Kia Rio! Apple CarPlay™ and Android Auto™ available on the 2018 Rio EX. 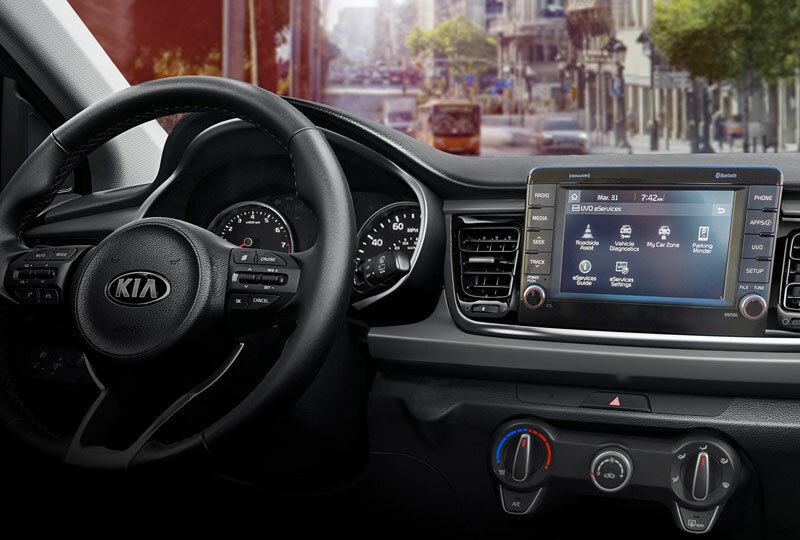 Kia Drive Wise Technologies are not substitutes for proper and safe driving. They may not detect every object in the vehicle’s direction of travel. Always drive safely and use caution.